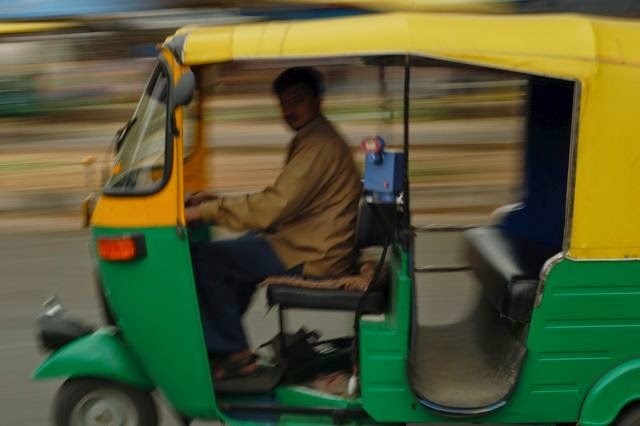 On the 201R going from Indiranagar to Jayanagar... Just after Ejipura signal, an auto-rickshaw driver knocks on the bus door and starts yelling at the driver. Apparently the bus had scratched his auto-rickshaw. A shouting match follows. The door closes and we continue on our way. The bus stops a little further away and the auto-driver is there again. More animated shouting. Door closes, we move on, stop again (heavy traffic). This time a different auto-driver is at the door shouting at the bus driver… looks like the first auto-driver has already mobilized his auto-driving buddies. Auto-driver #1 then shows up and now there are three people in the shouting match, with the bus conductor also joining in to make four. Another auto-rickshaw shows up and blocks the bus so we can’t move forward. The auto-drivers want the bus driver to get off the bus and come look at the damage on the auto-rickshaw. The commotion is now blocking traffic at Sony World signal so we move on. The bus stops after the signal (traffic light for non-Indians) and a whole bunch of auto-rickshaws pull up too. The bus driver and conductor get off the bus to examine the auto-rickshaw. More shouting, more people. The auto-drivers’ beige uniforms now outnumber the bus driver and the conductor. Passers-by stop to see what all the shouting is about and a small crowd has formed. The back-and-forth shouting goes on for 10 minutes. 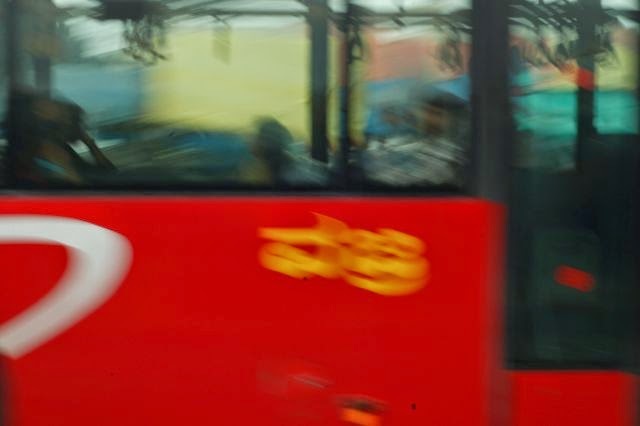 The bus driver starts walking back to the bus at one point and things seem to suddenly heat up, with the shouting getting louder and body language becoming more aggressive, but he goes back to the auto-rickshaw. Meanwhile people on the bus are making impatient noises and some have got off to take another. The small crowd then moves towards the rear of the bus to examine the body for evidence of the collision. More animated discussion. Finally the driver hands over a wad of cash to the auto-driver. He takes it, counts it, puts it in his pocket and all the angry faces suddenly dissolve. No more shouting. Everyone walks back very casually to their respective vehicles and we’re on our way again.